Stasi Brothers Asphalt Corp. is a family owned and operated business. 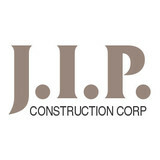 We began our business in 1962 as a landscaping company. By 1964 we branched out to constructing asphalt driveways, Belgium block concrete and various forms of brick work. For 50 years, we have been located in our original location, Westbury, and have remained one of the industry's leaders. We retain this status by keeping up to date with the state-of-the-art equipment and materials, as well as employing only the finest craftsmen in the business. By setting high standards we have been able to produce quality work at reasonable prices. Our fully staffed office consists of office managers, receptionists, architects, engineers, project managers and consultants, who are always on hand to help insure that our customers receive the finest job. 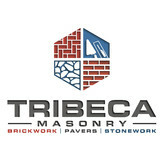 We employ only the most seasoned field laborers, professional masons and the most experienced machine operators. Because this business bears our family name, we take great pride in the work that we do. This year, 2019, marks 57 years since Stasi Group has opened its doors. Stasi Brothers has served over 20,000 satisfied customers here on Long Island, from New Hyde Park to Montauk, as well as dozens of Municipal and Government Agencies. Our goal is quality and the complete satisfaction of you, our customer. 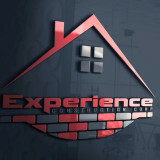 We are here to help you transform your house into a home. With our Line of natural thin stone veneer your ideas can become reality. For the most part, people hire a stone or concrete contractor for large installations like driveways and walkways, or for home facades and exterior columns. These brick, pavers or stonework installations can add lots of functionality and visual curb appeal to your New York home. Pavers come in a wide variety of colors, shapes and sizes, and the right vendor or specialist can help you choose a color and design that complements your existing landscaping. From installing new exterior columns to repairing your chimney, masonry contractors can help you add both visual appeal and value to your property. They’ll know what kind of installation makes the most sense for your Freeport, NY climate and regional style. Looking for something that will develop a patina with time? Or would you rather have your home feel brand new for years to come? Choosing the right kind of stone involves thinking about the future, too. Experienced brick suppliers and stone suppliers can help you find the material that will work for your home now and for years to come. These professionals aren’t limited to exterior work either. Whether you want a split-stone granite wall in the kitchen or need help installing traditional brick masonry on your fireplace facade, you’ll want a professional to get it right. If you’re already working with an architect or designer, he or she may be able to suggest a good Freeport, NY subcontractor to help out. Here are some related professionals and vendors to complement the work of stone, pavers & concrete: Landscape Architects & Landscape Designers, Architects & Building Designers, Garden & Landscape Supplies, Driveways & Paving, Siding & Exteriors. Find stone, paver and concrete professionals on Houzz. Search the Houzz Professionals section for Freeport, NY stone, paver and concrete professionals. Browse photos and read reviews, and contact a pro if you like their work.